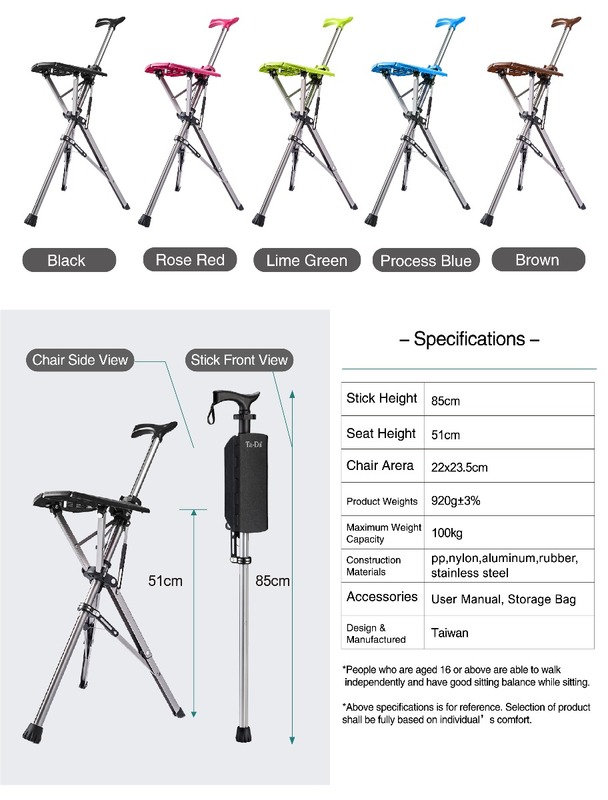 Extremely portable and convenient to store, almost the size and weight of an umbrella, you can carry it in your car and put it to use whenever needed. 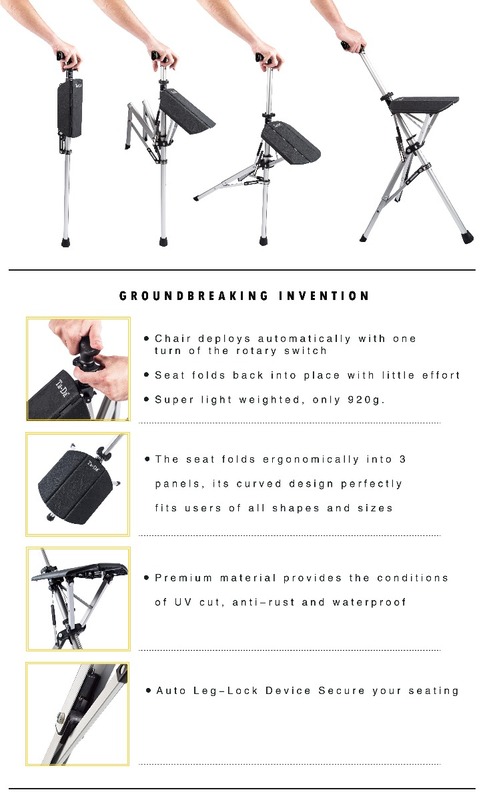 Surprisingly sturdy, travel friendly chair. 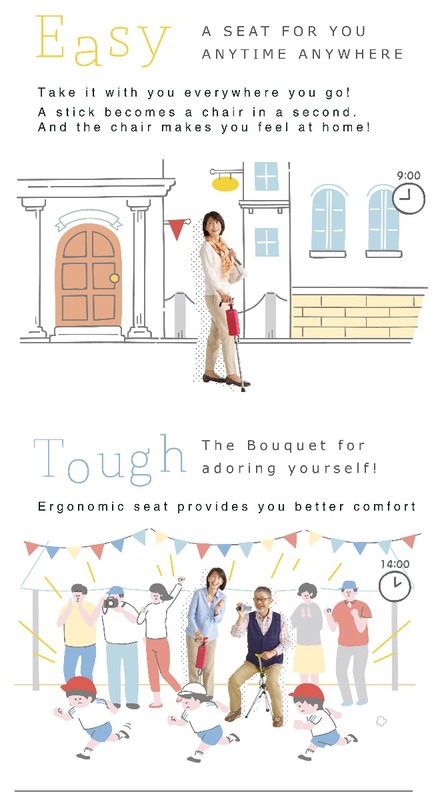 Even with its small size, the Ta-Da Chair will serve you well when you prefer sitting more than standing, or even when you need to take a short break from a long walk. Your lifesaver whether you're waiting for the bus, standing in a long queue or even walking long distances. When your family member or friends are off having fun in shopping mall and you don't feel like walking, you can sit comfortably on Ta-Da chair. 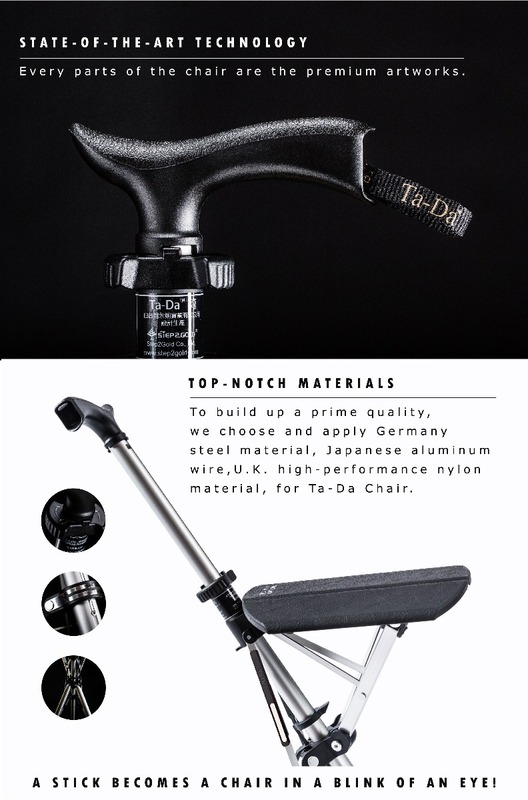 Use it as a walking stick or as a seat. 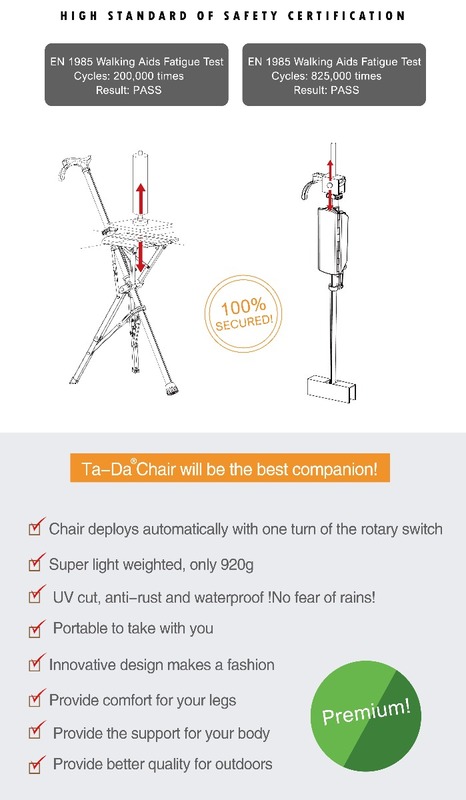 Ta-Da Chair has got you covered! Great compact design, you could carry it wherever you go.